Greetings Adventurers! 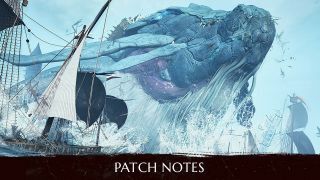 The scribes expect Vell "The Heart of the Sea" to arrive very soon in Magorian waters. To prepare for this event, Adventurers are called to prepare themselves and do the quests required to rent an Old Bartali Sailboat. This fine vessel will not hold forever but is more than capable to engage this new upcoming threat. There is also a new kind of treasure, the Golden Puppy Statue, that vendors reportedly deem worth 5 million Silvers. Also, an increase in the polar bear population is expected after some cubs have been spotted hiding in boxes. - Golden Puppy Drop Event has been added. Defeat Monsters, Fish, and Gather to get: Golden Puppy Statue! Click < Here > to find out about this golden event in detail! - A new boat, Old Bartali Sailboat, has been added. It can be obtained for free from weekly quests during the event period. New event quests to obtain the Old Bartali Sailboat during the event period have been added. 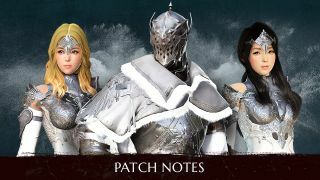 The new quest, [Event] To Vell’s Realm, is now available for characters with Lv. 50 or above and can be accepted via the Black Spirit when you are in Velia. Details about the Old Bartali Sailboat can be found < Here >. - Fixed the issue where 4K (or higher) screenshot did not work properly on certain computers. - A new text error reporting system has been added. 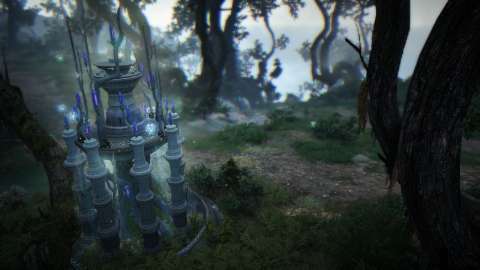 Help us bring you the best version of Black Desert Online! 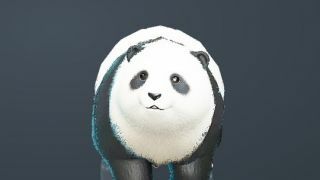 If you discover a typo or any incorrect/awkward text in the game, [Shift + RMB] the text you want fixed to open the Edit Text window. You can then put in what you think should be the correct text in that window. You can now [Shift + RMB] the text you want to fix in the Knowledge Window and NPC dialogue boxes. Currently, you can only report texts from NPC dialogues and the Knowledge Window, but we are planning on expanding the use of this tool. We will take all your suggestions into account and apply changes as we deem appropriate. Things to note about the Edit Text function. Please use this function only to suggest text changes for the game. We will not answer any questions submitted through the Edit Text function. - Black Spirit’s appearance (Stages 1,2,3, and 6) have been changed to be more round and friendly. - The View Underwear, Hide Pets, Hide Maid, and Place Mode buttons have been moved to above your address which is shown on the top of your screen when you are inside your Residence. 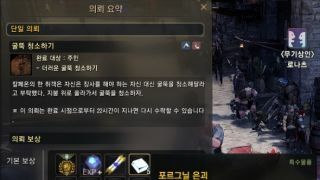 - An issue where a Calpheon Soldier’s weapon disappears after bowing to the Guild Master has been fixed. - An issue where Alchemy Stone was not properly counted when it was automatically used has been fixed. - There will be a new point system that will increase Item Drop Rates depending on the Knowledge you have. For each Knowledge (Ecology), you will get 10 points for S-grade Knowledge, 5 points for A+, 2 points for A, and 1 point for B or lower. Having more points will mean a higher Item Drop Rate, and this higher rate will be applied when defeating any monster. You can check how many Knowledge (Ecology) points you have on the bottom of your Knowledge Window (H). The already existing system of having an advantage if you have a higher grade Knowledge of the specific type of monster you are fighting has not been changed. Party drop items and junk items that always drop from monsters will not be affected by how many Knowledge (Ecology) points you have. - You can check how many Knowledge (Ecology) points you have on the bottom of your Knowledge Window (H). - The chance of gaining Knowledge when defeating Grass Hedgehogs have been increased. - Fixed the graphical glitch where the food you eat while mounted looked unnatural. 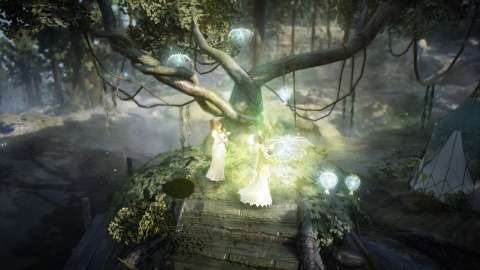 - Messages about the movements you can make while sitting down, lying down, walking, or floating in water have been added. - You can now successfully dye female Serendian Soldier Suits again. 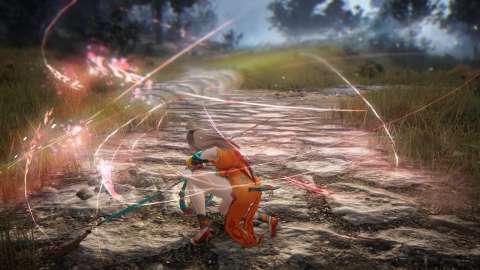 - Fixed the graphical glitch where Ranger’s skill Blasting Gust effect stayed after switching to her Awakening Weapon. - Fixed the graphical glitch with Ladellin Helmet and Bern Helmet that appeared if you customized Ranger’s forehead after equipping either Helmet. - Basic AP at Lv. 60 has been increased by 6. The PvE damage has been increased as well. 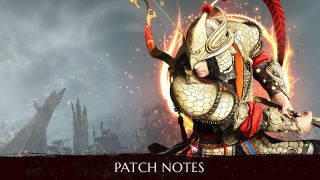 PvP damage has been decreased by approximately 1.44% in accordance with the basic AP increase. - Fixed the issue where Sorceress’s Amulet did not disappear after changing to Scythe stance. - Sorceress’s movement when changing from Scythe to Amulet stance has been changed. - Fixed the graphical glitch with the shoulder strap of Witch’s Bloody Costume that appeared when fishing. - Fixed the graphical glitch with Witch’s seventh hairstyle when using Beauty (F4). - Fixed the issue where Wizard’s body turned into a that of an old man if he put on a Snowman Hat. Frost Pillars and Flow: Tip of an Iceberg. - Fixed the graphical glitch on Maehwa’s neck that happened when she was wearing the Kibelius outfit and did the special outfit poses. - Flow: Block Jump has been corrected as follows. PvP Damage Reduction from a single hit of the skill Throwing Kick has been removed. When Throwing Kick is performed during Block Jump, there will not be a PVP Damage Reduction from a single hit. 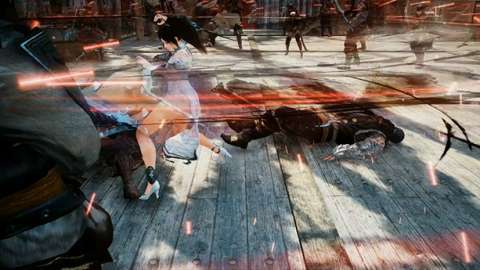 - Fixed the issue with the camera rotation effect not being applied when using the skill Ninjutsu: Block Jump while Crimson Eclipse’s buff was active. - The skill Lunar Dash is now activated by right-clicking while Sprinting on Sah Chakram stance when Target Chase’s buff is active. - Fixed the issue where a falling motion was displayed when using Jump Attack with Gardbrace while on high grounds. - Fixed the issue where Mystic stopped while using the skill Dragonize when her Stamina was drained from Sprinting. - A description has been added to the skill Awakening: Banha’s Cestus. 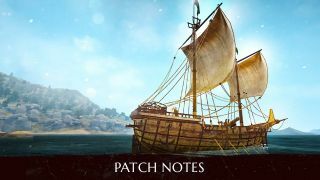 - The maximum number of Ship Repair Materials you can register at the Marketplace at once has been increased from 20 to 100. - An issue where Luck level was not increased by +1 when equipping [Event] Coral Crown has been fixed. The effects of this Costume cannot be stacked with the Outfit Slot Equip Effect. - For every Node level raised via investing Energy, Item Drop Rate will be increased by 5% for 10% of the monsters you defeat. For example, if the Node level is 10, you will have a 50% higher Item Drop Rate from 10% of the monsters you defeat. By 10% of the monsters you defeat, we mean that if you defeat 10 monsters, the higher drop rate will be applied to one of the monsters. This will not affect Party drop items and junk items that always drop from monsters with 100% rate. - Marni’s stones will now have color-coded icons to help you tell its sample collection status. A Marni’s stone with no samples collected will be marked with a yellow icon. A Marni’s stone that has some but not all of the samples collected will be marked with a blue icon. A Marni’s stone that has all the samples collected will be marked with a red icon. ※ Polar Bears will give a boost in Weight Limit and Auto-fishing speed! ※ Extra Interior Points of the above items will be applied when there is no installed furniture directly in front of them. 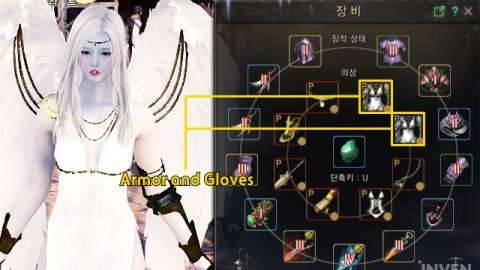 - When you selected an Awakening Weapon outfit in the Pearl Shop, it should no longer display the incorrect weapon. - The appearance of the Centaurus pet (Tier 1, 3, and 4) has been changed to be more natural. - For details on newly added Pearl Shop items, please click < Here > to go to the Pearl Shop Update Announcement. - Fixed the issue with monsters in Forest Ronaros & Gyfin Rhasia Temple having abnormally higher DP. - Monster Lava Faolun’s detection range has been decreased by 50% and the maximum distance it will chase characters have been decreased by 25%. - World Bosses Karanda and Ancient Kutum can now be attacked properly by Summoned creatures. - Damage against Kamasylvian Monsters is now correctly applied for Mirumok Watcher Offin, Watcher Offin Tett, and Griffon of Ahib. - Fixed the issue where the stone fired from Saunil Immobile Catapult would pause midair. - World Boss Karanda now becomes invincible when launching into the air. - In the Knowledge Window (H), detailed hints have been added for locked Knowledge entries which will appear if you hover your mouse over the Knowledge titles. - The color of the text for the Knowledge hints for Knowledge (Topography) in the World Map has been changed to be easier to read. 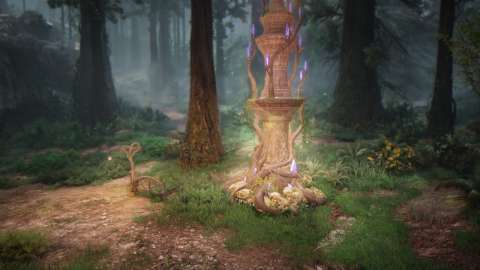 - The Knowledge “Freharau’s Advice” can be gained through dialogue with Alustin from Glish. - Fixed the resource issue that prevented connecting to the server. - Fixed the issue that made the camera spin uncontrollably while rotating with the mouse cursor. - Fixed the issue that displaced mouse cursors and UI elements after changing resolutions or applying Window Mode. - Added text explaining that you can press Q while in the water to toggle between resting and swimming states. - The guide videos you can access from the World Map will now be on a web platform. - If an item is currently out of stock in the Marketplace, the highest price will be automatically set for you if you register that same item there. - If you Right-click Blacksmith’s Secret Book, an extraction window for that item will now pop up. - An information window about the benefits of joining a guild pops up when an Adventurer without guild opens the Guild Window (G). - The Sound will no longer play during the opening logo animation. - An issue where the tooltip did not close when going from the Knowledge Window from the Chat Window has been fixed. - An information window pops up on the left when your character is swimming. - A new window to check Knowledge Points and their effects has been added to the Knowledge Window. - You can now see how much additional Item Drop Rate you will get by investing in a Node. The rate will be shown in the Node Information window that appears in the upper left corner of your World Map after you click on a Node. Hover your mouse over the question mark on the right side of the Node Level bar to see the Item Drop Rate. - Fixed the issue where characters did not move when pressing the W, A, S, D keys after opening Depository from the Edit UI window. - Fixed the issue where the picture of the Knowledge you get by talking with an Old Moon Rescue Boat NPC was missing. - Fixed the issue where the Event button from the ESC Menu was not working. - Fixed an issue so that event music and sound effects only play during the event period. - Fixed the color differences between high-quality screenshots and regular screenshots. - Fixed the issue where a single resource was able to be Gathered from twice in the area near Calpheon Castle. - Fixed the unnatural shadow that appeared when opening the Dye or Knowledge Window has been fixed. - Fixed the graphical glitch where an NPC in Port Ratt was cooking fish without any fire.